House divided into two completely independent apartments. First floor, access by stairs. 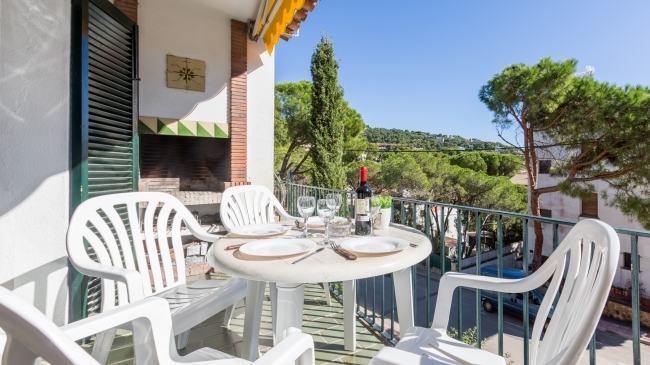 Basic apartment located in Llafranc, just 300m from the beach and the center. It has 4 bedrooms, 3 double (2 double beds (135x190, 150x190) + 2 single beds (90x190cm)) and 1 single (90x190cm), 2 full bathrooms (shower + bath), living room (TV, fireplace) with access to the terrace (outdoor furniture + small brick barbecue), kitchen with simple furniture but large and equipped (gas stove, oven, microwave, washing machine). Basic and small studio apartment, in the second floor, located in Llafranc, just 300m from the beach and the center. Quiet zone. It has 1 double room (double bed (135x190cm), renovated bathroom with shower, small living room (sofa-bed), simple kitchen (ceramic hob, oven). The outside part of the apartment has a small furnished terrace and laundry room (washing machine). 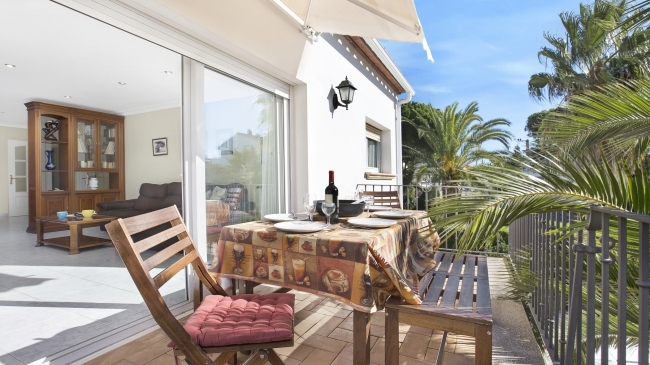 Apartment located in Calella de Palafrugell, 400 meters from the beach and the center. First floor without elevator It has 3 double rooms (6 single beds (2 of 80x180cm and 4 of 90x200cm)) 1 of them with en suite bathroom with bathtub, another bathroom also with bathtub, kitchen (gas hob, oven, microwave, dishwasher, washing machine and dryer), a large living room (TV) with access to the terrace and view of the community pool. Optional air conditioning (50€ / week). Tennis court. Garage. 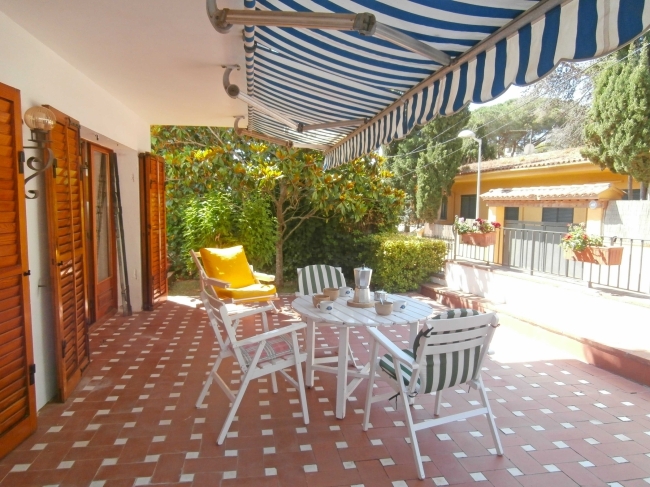 Apartment located in Calella de Palafrugell, 400 meters from the beach and the center. First floor without elevator. It has 3 bedrooms (2 single beds (80x180cm) with bathroom en suite, 1 double bed (135x190cm) and 1 room with with 1 trundle bed + 1 single bed (90x190cm), 2 bathrooms (one with bath and one with shower), kitchen (stove gas, oven, microwave, dishwasher, washing machine and dryer), a large living room (TV) with access to the terrace and overlooking the community pool. Optional air conditioning (50€/week). Tennis court. Garage. Apartment located in Llafranc, 300m from the beach and the centre. Ground floor with a big terrace. It has 2 double bedrooms and 1 single bedroom (1 double bed, 3 single beds), a living-room (fire place, Tv, air-conditioning- weekly supplement of 30 €), equipped kitchen (washing machine, oven, dishwasher, microwave), and a bathroom. Optional use of garage (cost 30€/week).